Norway is blessed with many churches and cathedrals and most of 2L's recordings are made in these wonderful spaces. The music captured by 2L features Norwegian composers and performers, and an international repertoire reflected in the Nordic atmosphere. The traditional way to illuminate and enhance an identity is to define the borders to operate within. This Norwegian label has chosen a different path as the products are developed without fences, originating from classical European art music and traditional folk music, recognizing the fundamental values of musical performances and excellent sound production. It's never too late to uncover original music. Such a reward is always worth the wait. 2L is proving precisely that. Lindberg Lyd AS is the full name. Lyd, in Norwegian, means audio, or sound. 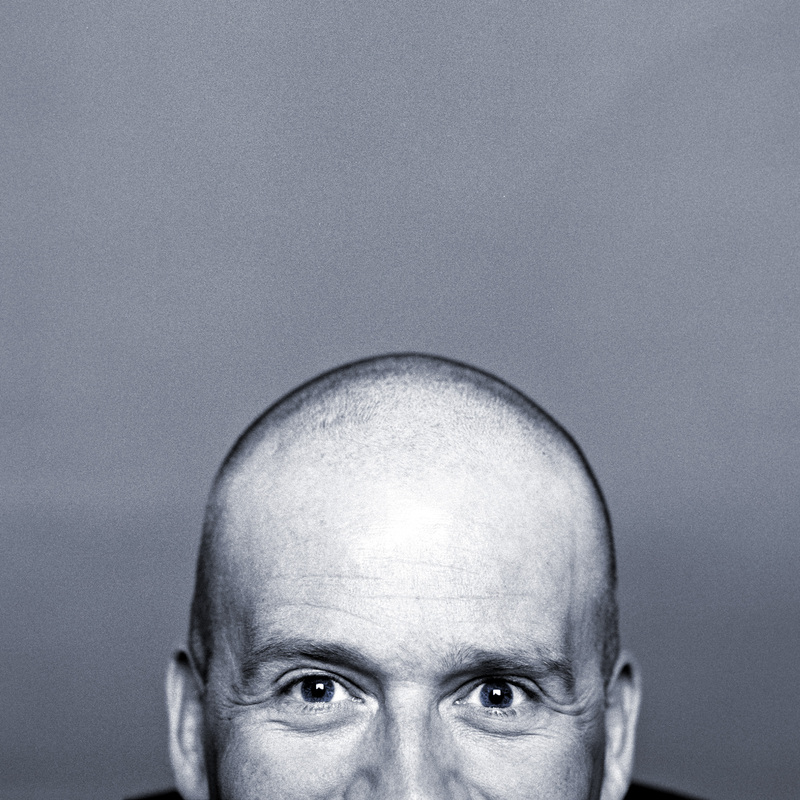 The young founder Morten Lindberg was born in 1970. While still in the recording academy, he already got a head start by moonlighting in recording studios. He got the leverage from his classical music training, trumpet and choral. While most of his classmates were just preparing themselves to work in pop music industry, Morten was gaining experience and earning references from classical musicians and recording in churches and concert halls. One year after graduation, he already had accrued 45 recordings to his credit, and contributed to The Grieg Edition, awarded MIDEM Classical Award - Best Special Project in 1994. In the classical music world, 2L is still a young label. But the team definitely has a musical edge since all the players are both keen musicians and engineers. Jørn Simenstad, a trumpet player and leading performer of traditional Norwegian instruments, is the main editor and classical/folk producer. Hans Peter L'Orange is the head of engineering. Wolfgang Plagge is composer, pianist and producer. Ståle Hebæk Ødegården is classical/pop/rock pianist with a keen ear for microphone setting and balancing. 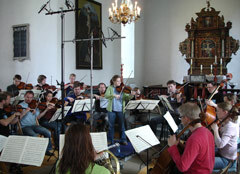 Lindberg Lyd was nominated for the American GRAMMY-award 2006 for their production of Immortal NYSTEDT (2L29SACD) in categories "Best Surround Sound Album" and "Best Choral Performance". Fifteen years ago, when their studio came into operation, all of the Lindberg Lyd projects were services provided to other labels, which included EMI/Virgin, Naxos, ASV, Hyperion, Linn and Philips, among others. Currently half of Lindberg's studio output is for its own label, totaling 50 classical, jazz and traditional releases since 2001, and the projection is 12 in 2008. One other striking feature of the label is their fresh approach to packing. The core quality of audio production is made by choosing the venue for the repertoire and balancing the image in the placement of microphones and musicians. Lindberg Lyd travels all over Scandinavia for the right cathedral or chapel. However, it is the team's attitude to surround sound, which they started working seriously in 2000, that puts them in a completely different league from most multi channel classical engineers. They're not scared to experiment and to put the listener in the thick of the music rather than in a seat at one end of the hall. They've made recordings with the orchestra in the front and the choir behind and the musical results are remarkable. Planning and discussions with the musicians create trust and a sense of occasion and excitement that translates onto the recordings. "The tools we have even with a good surround set up is not a perfect way to bring an audience to the concert hall; we still have to work the art of illusions," says Morten Lindberg. "This is one of the ways to do that - to bring the listener into the music and in among the musicians to be a part of it." That's not to say that they won't record in a more traditional surround format but they allow the venue, repertoire and musicians to suggest a configuration to them. It's a healthy attitude towards multi channel that doesn't hide behind the usual excuses of worrying about integrity of listener's loudspeaker layout. They're recording surround for those who want to listen in surround and the stereo layer of the hybrid disc is there for those who don't. "What we insist upon in the recording phase is time. We usually spend from four to six days of recording on a 60-minutes repertoire. In credit of the musicians I need to say that this is not in need of getting the score right, but in order to bring forward the right mood and dimensions. At most projects the entire first day is spent bringing the dimensions down from a 1500-people hall to the proximity encountered on a home-visit to your living room. The challenge of this process is to get the volume down, keeping the intensity and energy up, without being intrusive. There is no method available today to reproduce the exact perception of attending a live performance. That leaves us with the art of illusion when it comes to recording music. As recording engineers and producers we need to do exactly the same as any good musician; interpret the music and the composer's intentions and adapt to the media where we perform." The 2L label is best described as a premium brand with very high production and packaging values. "We are in a very fortunate position in Norway because we have cultural grants from the government to help preserve and re-vitalize our cultural heritage and that means Norwegian repertoire both in a historic and contemporary perspective," explains Morten. "Our strength is where we live, where we have grown up and where we have our local knowledge and culture. We also have a choice of venues that other countries do not have. You might consider this an invitation to other labels to visit Norway, make their recordings and publish worldwide." Lindberg Lyd has been passionate about Super Audio CD and since the year 2000 has been making serious investment in the new format through advanced equipment and pioneering technology like DXD. (Details of equipment list could be found on www.lindberg.no). Their approach is somehow different from the others. They would not shy away from using the surround channels to their full potential, dedicated to actual instruments or vocal parts instead of just the ambience. The music seems to be more engaging and more involving, putting the listener right in the centre of music making. Most multi-channel projects are all discrete 5-channel recordings employing five microphones and five recording tracks (sometimes augmented with back up or fill in microphones and tracks). Depending on the repertoire and the recording venue, but whenever possible, they would avoid cardioid microphones that have narrow directional characteristics. In the recording of Mozart's concertos for violin and orchestra (2L38 SACD) the members of the orchestra formed a circle, with the five microphones set up in the middle. That places the listener into the position of the conductor. Vibrancy is in the air. Tone of the instruments is vividly natural. The Gregorian Chant recording by Consortium Vocale Oslo [2L43SACD] also conjures lifelike presence without exaggerating hi-fi excitement. Both these titles are DXD processing. The result is sonic quality that exemplifies high definition and fine, smooth texture. "Working on the cutting edge of audio would not have been possible without a close and intense cooperation with Merging Technologies, DPA microphones, Digital Audio Denmark, Steinway & Sons and generously open minded musicians." So what is DXD? As we know, SACD has adopted a digital processing called DSD, Direct Stream Digital, or more technically correct, DSD64. That means, based on the Red Book specified 44.1 kHz sampling frequency, the data stream will go through a 1-bit/64 times over-sampling process to achieve an audio date rate of 2.8224 Mbit/s. DSD signals further require a noise shaping process to sustain the dynamic range of 120 dB within the primary bandwidth of 20 Hz - 20 kHz but that causes the noise spectrum to increase above 22 kHz. One obvious solution is the process known as DSD128, which increases resolution to wider bandwidth by doubling the over-sampling rate to 1-bit/128 times. The down side is that the data size would also be doubled and would require large media storage, rendering it impractical for commercial applications. Digital eXtreme Definition is a professional audio format that brings "analogue" qualities in 32 bit floating point at 352.8 kHz. DXD preserves 11.2896 Mbit/s (4 times the data of DSD). This leaves headroom for editing and balancing before quantizing to DSD. Super Audio CD is the carrier that brings the pure quality to the domestic audience, supporting high resolution sound in multi channel. The disc still looks like a CD and is totally compatible with conventional CD players and computers. Presence and participation are the magic words for future listeners. Surround sound brings the listener to the very centre of the audio experience. The signal path is as simple and short as it is technically advanced and the company has devised a formula for the recordings, which Lindberg Lyd describe as: "Fantastic musicians and adventurous music in a beautiful venue!" 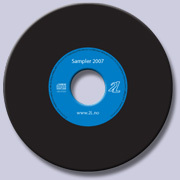 Musikkoperatørene (MO) has a rich-variety of Norwegian high quality CD's, and is the distributor of about 20 large and 50 small independent labels, - in Norway and for export. Some of the most important labels are: Simax Classics, Hot Club Records, Curling Legs, Heilo, Jazzaway, Grappa, Aurora, Odin, MajorStudio, 2L, NORCD, SOFA, Herman Records. Many of the releases are considered to be among the finest audiophile recordings, and are highly appreciated throughout the world. The Norwegian music scene offers both established and new artists on an international level. It is said that no other country in the world have as many musicians compared to the population. Check it out!